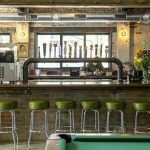 Holiday Spirits and Forty Thieves serve casual food and drinks with a side of dive-y nostalgia. Last week Daniel Wright, chef-owner of Over-the-Rhine eateries Senate, Abigail Street, and Pontiac BBQ—along with his wife Lana and their business partner and longtime operations manager Mike Georgiton—officially opened his latest OTR business venture, a collocated bar, Holiday Spirits, and quick-service restaurant, Forty Thieves. Taking up a majority of the 4,000-square-foot space at its Race and Liberty streets corner location is Holiday Spirits, a super-casual drinkery that houses heaps of nostalgia—hello, Golden Tee and Skee-Ball—in a standalone, high-ceilinged space not quite like any other in OTR right now, with expansive windows overlooking the busy corner. The themes of the bar and restaurant are independent of one another, but somehow come together naturally. 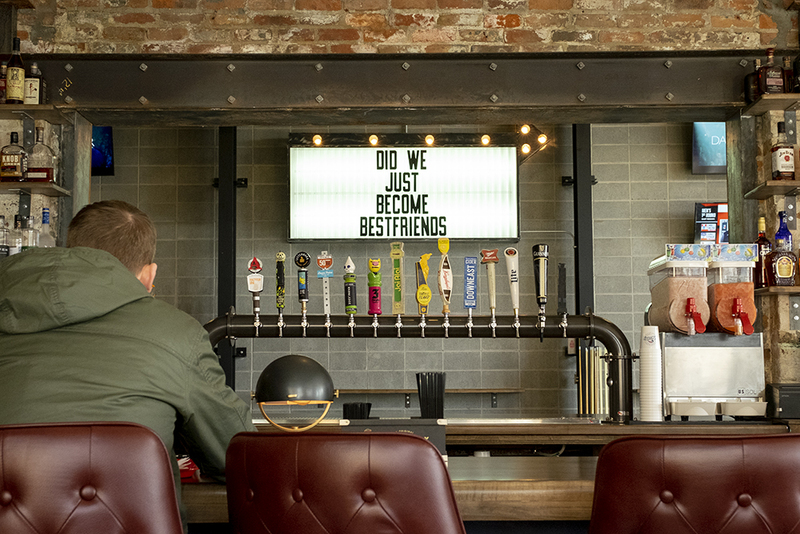 Fourteen beers, including a few domestic standbys and a handful of craft brews, are on tap, served “as cold as your ex-girlfriend’s heart,” or so it says on the repurposed outdoor marquee sign hung on the wall above two pool tables. Inspired by a staff R&D trip to New Orleans, there are two frozen drink machines, right now serving frosé (frozen rosé) and a Cinnabon-inspired slushie that’s “absolutely insanely delicious,” Wright says. Both frozen drinks are served in take-home souvenir cups, like the Hurricanes served on Bourbon Street. 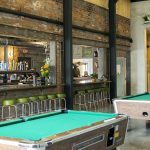 “We wanted to do a spinoff of what we’re already doing at Abigail Street, so it’s sort of like if Abigail Street was open for lunch, this is what we’d be doing,” Wright says. 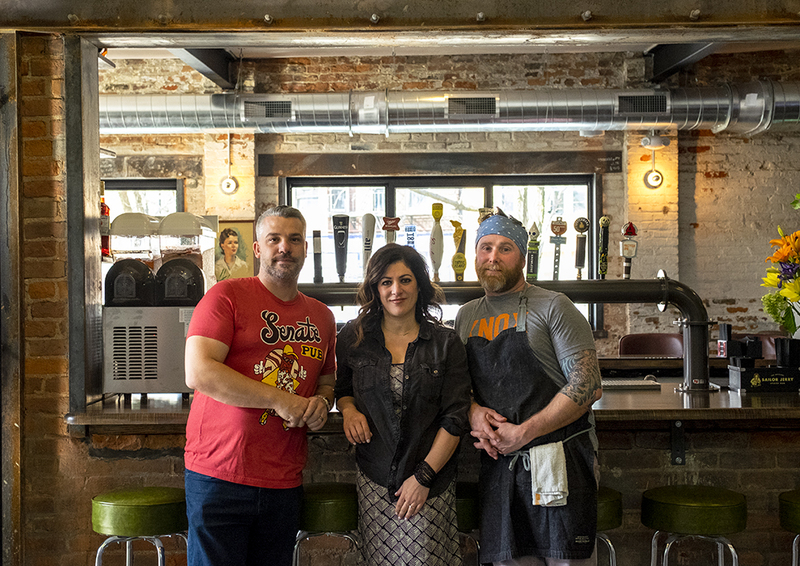 Forty Thieves head chef Ethan Greene is at the helm in the kitchen, bringing his expertise from his previous role as sous chef of Abigail Street. 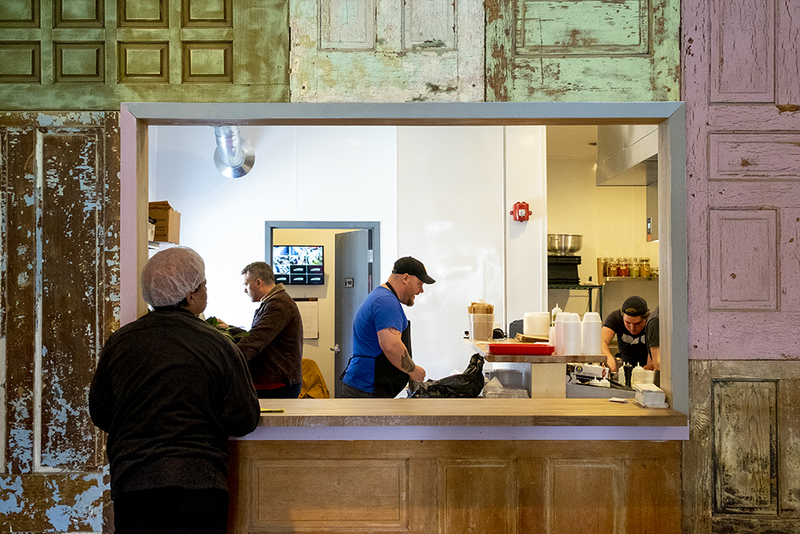 Greene will be dishing out experimental eats on the weekends from time to time, including regional dishes from Lebanon, Jordan, Morocco, and Tunisia. The bar seats 120 people, and starting this week (Reds Opening Day, March 28, to be exact), an outdoor patio along Liberty Street will seat 50 more. 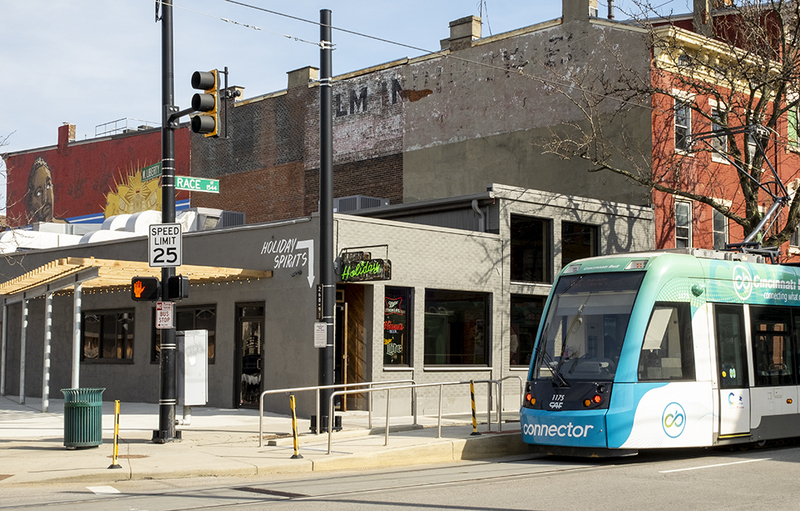 Compared to Wright’s other OTR businesses, this one is particularly special to him and Lana, he says, because it’s the first real estate they’ve purchased outright. 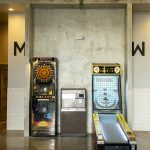 They bought the building, which was previously a laundromat before sitting vacant for the past 21 years, from 3CDC. It required extensive rehabilitation, which Wright had a surprisingly extensive hand in, including putting in the wood ceiling, pouring the cement walls, and even some of the steelwork that went underneath the building’s concrete slabs. Later this year Wright plans to unveil a mural along the east side of the building featuring imagery from the original building’s 1995-painted mural—an advertisement for Ollie’s Trolley, depicting Family Matters character Steve Urkel, an oversized hoagie, and a man grilling, by artist William Rankins Jr.—which had to be removed during the demolition process. “Steve Urkel will be back on the building—that’s the one thing I can say with absolute certainty,” Wright says. They also plan on painting Rankins (now blind and unable to paint) into the mural, since he had never included his self-portrait in any of his many works around the city. “It’s going to be a collaboration paying homage to murals in OTR,” Lana adds. Holiday Spirits is open seven days a week: Monday–Friday 4 p.m.–close, Saturday and Sunday noon–close. 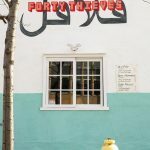 Forty Thieves has similar hours, but is closed Tuesday and Wednesday.